Choose the Right Finish: Choosing the right type or finish of a lipstick is the first step to buying, for lipsticks come in so many forms and each of them have different properties. It is very important to pick the right one for the current occasion or mood. It is not necessary that all lipsticks suit all skin tones. Therefore you must be very cautious while choosing yours. First identify your skin tone, then try to find a lipstick in the shade that suits you the most or one that falls in the same shade family. Although you can practically pull of any shade of a lipstick due to your fair colour try to stick to neutral colours during the day. Reds and pinks are good picks for the day as well. Go for warm berry tones during the evening. If you are the ones who have a not too fair but not too dark skin tone, then go for some cool as well as hot shades of pink. Shades in a darker palette like brown will work well with your skin. Avoid neutral and pale shades as they will make your lips look colourless. : If you are someone blessed with a darker skin tone then avoid light and neutral shades. They will make your lips look pale in comparison to your skin tone. Opt instead for rich browns and deep berries and see yourself transform into a glam goddess. 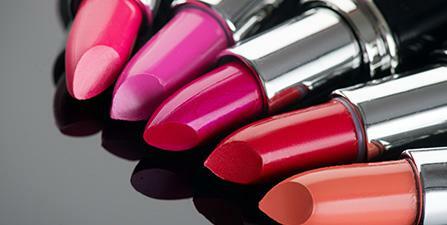 While lipsticks are made to have fun with, ensure that you don’t end up wearing the wrong one. It will look out of place or very loud. Follow the above guidelines and have fun experimenting with the numerous shades on offer. 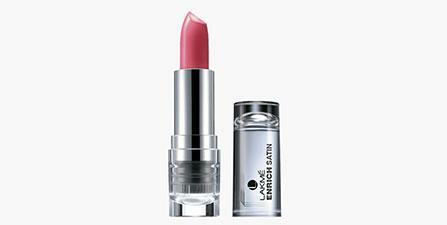 Shine producing lipstick with extra oils for a smooth finish which give a lustrous look. 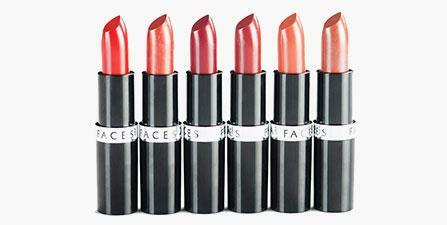 Sheer lipsticks give a shine along with minimal colouring and glide easily across the lips. Softer, creamier and with full colour this one is perfect for long wear. 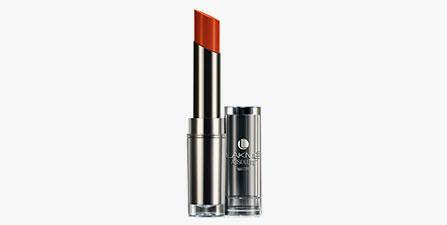 Gives a subtle shine to the lips making them look fuller and plumper while providing protection at the same time. For those who like extra shiny lips, glossy lipsticks are your best bet. They have low intensity in terms of colour but give an excellent shine. In short perfect for a glamorous night out. Intense colour lipsticks that are designed to last. Oils and butter in the formula help nourish and plump up the lips ensuring creaseless lips while the colour is known to last for atleast a few hours in some and upto 9 hours in others. This type is perfect for working women who want an all in one product with the ability to last. 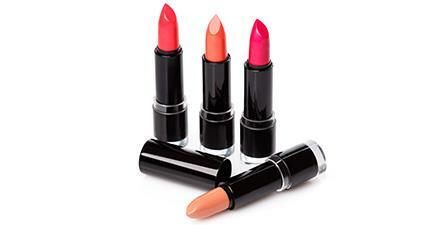 Loaded with extremely moist formula, the ultra-moist lipsticks polishes you lips like never before. It has the necessary ingredients like aloe, shea butter etc. to moisturize the lips. Extremely soft on the lips. Rich pigmentation with extra lustre. Lip glosses are the perfect companions to lipsticks. 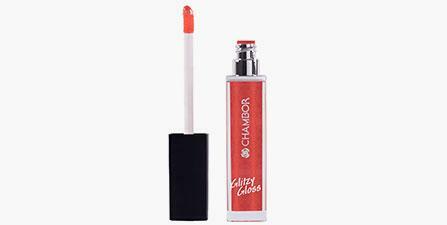 Lip glosses have either high intensity or low colour pigmentation. 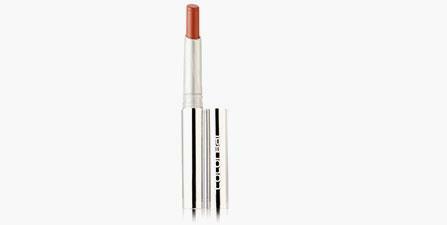 Use it over a lipstick to lock in the colour or just to give a touch of lustre on bare lips. 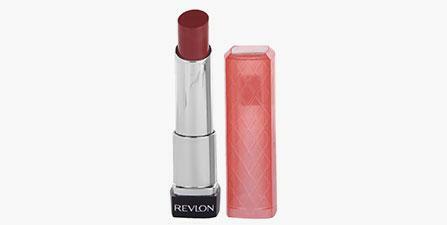 Lip pencils aid in correcting the shape of the lips ensuring the right application of lipsticks. Rich in texture and containing high colour pigmentation they are useful to outline the lips and can be used as fillers as well. Use the same shade of liner as the lipstick to avoid creating an obvious outline. 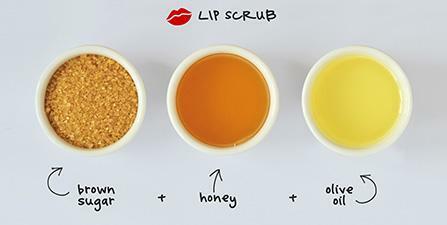 Combine the properties of a lip balm and a lipstick/gloss and voila you have lip stain balms! These stain balms contain moisturizing properties with a hint of colour that gives your lips a natural look. Stain balms are good for everyday use and come in an array of colours. Lips are the most delicate parts of the body and are easily prone to dryness and chapping. Lip balms are the most effective on dry and chapped lips. The various ingredients like aloe, shea butter, jelly help rebuild and regain the softness as well moisturize the lips. 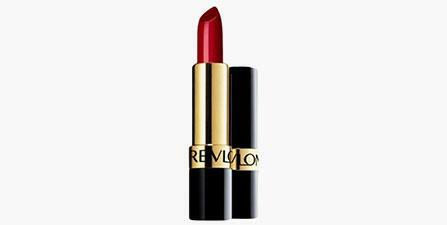 The lipstick shades are constantly changing along with trends. With so many shades available in the market, it becomes confusing to choose the right one. You don’t want to go bold or dark during the day so stick to natural and neutral tones. Subtle colours make you look fresh throughout the day. Pure reds and cool pinks are good options for the fair skinned. Rich jewel tones in a varying colour palette make your face stand out. Dramatic reds and berry shades pair well with evening wear. Skin undertones play an important role in determining the kind of makeup one should wear. It becomes easy to settle on which product best complements the skin once you have discovered your unique undertone. 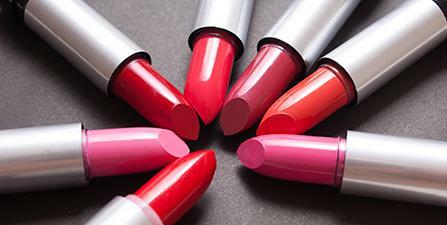 Just like other products, choosing the right lip shade depends on undertones too. There are 3 basic steps to finding yours. These include checking the colour of your veins, understanding whether gold or silver jewellery suits you better, and checking your skin’s reaction to UV exposure. Read our comprehensive guide to finding your undertone and find the perfect lipstick matches for your skin. Once you’re through with determining your undertone, you’re closer than you think to finding those perfect lipstick shades. Depending on whether you have a warm, cool or neutral undertone, these are the recommended colours to add to your makeup kit! Warm shades like orange and red look flattering on women with a warm skin tone. Fuschia lipsticks also fit the bill. 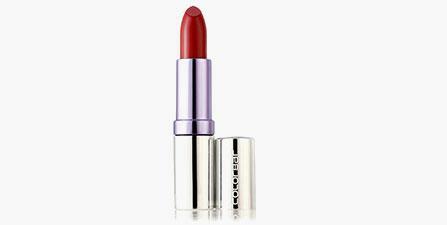 Lipsticks having a blue or purple undertone are best suited for women with cool undertones. Also, steer clear of lighter lip shades as they could make you appear washed out. For people blessed with neutral undertones, selecting a lip shade is a breeze! Most shades on the colour wheel recommended for both cool and warm undertones will look striking. So, whether it’s a popping pink or a rich berry, sky’s the limit! There’s more that goes into that perfect pout than just a swipe of colour. 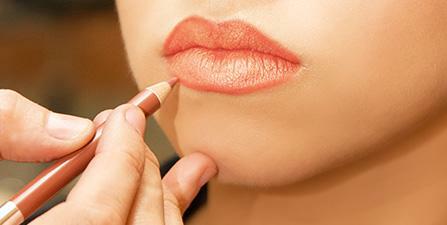 For a fuller, nourished, and softer pout, follow our list of lip tricks and hacks. 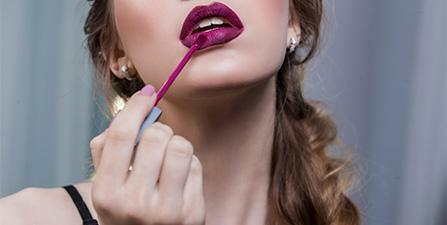 Create a creaseless base for your lipstick by starting off with a lip primer. 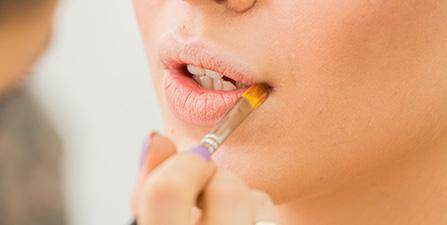 This will also prep your lips for the next step which is application of concealer. Take some concealer and dab it over your lips. This should be done to prevent a discoloured look post lipstick application. The power of alip liner. is often underestimated. 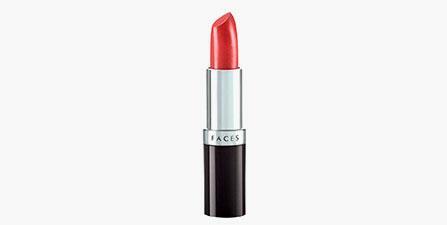 Apart from making your lips look plumper, it also allows you to fill in lipstick pigments with ease. Start by tracing along the natural outline of your lips. If you want an appearance of fuller lips, trace slightly outside of it. 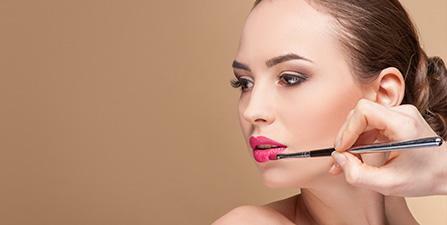 Choosing a lip liner other than the colour they’re wearing is a blunder most women make. Using a lip liner that matches your lipstick will ensure a more natural look.. It is advised to pick a lipstick shade that is at least two tones darker than your natural skin tone to avoid looking washed out. 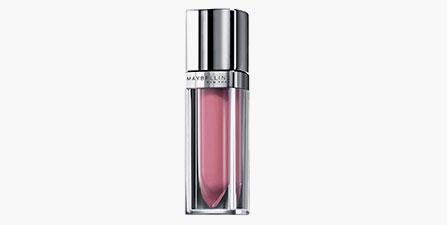 Lip gloss is infamous for its ability to fade sooner when applied on bare lips. However, if you wear the gloss after filling it with a transparent lip liner, it lasts longer. 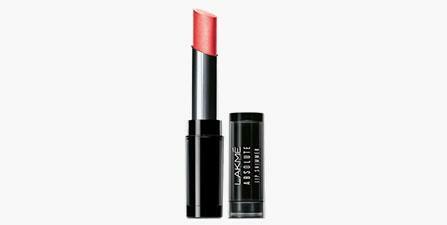 Take a cue from our complete lip care and beauty guide and achieve the perfect pout. Get started by shopping online! Increasing your daily water intake will keep your lips moisturised and impart a healthy glow. Using lip masks are also great way to give them an intense boost of hydration. Regular exfoliation can help rid your lips of dead skin cells, leaving them soft. Gently exfoliate your lips with aa mild lip scrub and say yes to smoother lips! Vitamins like A, B and C must be consumed and applied externally for healthier lips. 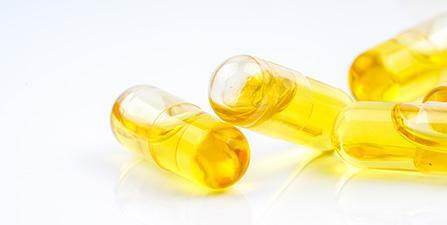 You could also look for topical lip products that contain these vitamins for extra nourishment. Pollution and exposure to the elements could strip your lips of moisture. Therefore, it is important to keep them moisturised at all times. Keep a chapstick or a lip balmhandy for 24x7 moisturisation. The harmful UV rays can wreck havoc on your lips by causing sunburn and pigmentation. Opt for lip products with SPF lip products with SPF to protect and prevent damage.